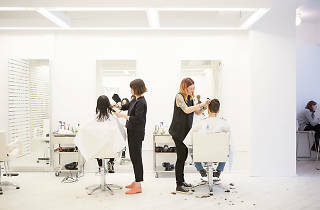 While most Williamsburg salons channel old-timey barbershop vibes with Edison bulbs and retro parlor chairs, this all-white joint believes less is way more—except when it comes to hair color. Those seeking ombré mermaid locks should ask for owner Elisabeth Lovell. After a free, preliminary consultation, Lovell will lighten your mane to get it as close to white as possible for the pastels to set (starts at $185). 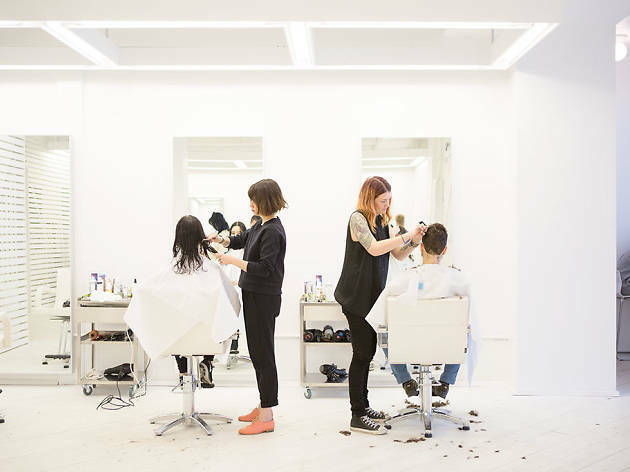 Note: The process can be harsh, but Lovell adds Olaplex to the bleach—a new technology in hair coloring—that re-links broken bonds and prevents breakage. Sip free beer or whiskey to calm your eager twitchiness and before you leave, pick up a bottle of color-protecting shampoo that won’t overcleanse the hair and fade the color of your new ’do (Lovell suggests R+Co Analog cleansing foam conditioner, $29). Tue–Fri noon–8pm, Sat 10am–8pm, Sun 11am–7pm.